6-piece non stick silicone coated handle knives that are designed to keep your knife blade off the counter, reducing mess in your kitchen. 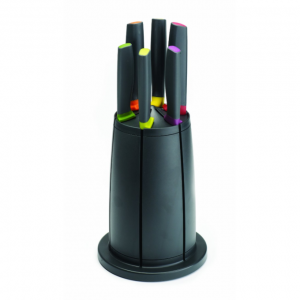 Comes with knife block that rotates for easy access and a storage for when your knives are not in use. Makes a perfect gift for a beginner or skilled chef dad!